“From little acorns ……..” I’m sure you know the rest of it and I’m sure that you will see the similarities with Norm Arthur’s business “Department of the Interior”. Yes Norm is in the business of automotive interiors but there is a lot more to it than that. 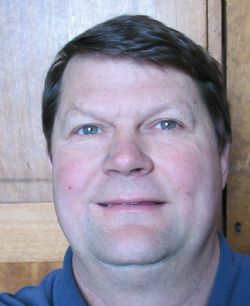 From starting out in his parents’ garage in October 1975, Norm has spent over 32 years providing a service that is perhaps unique in the automotive industry. Today the motor vehicle centre console is commonplace but in the mid 1970s it certainly was not. So Norm saw a niche market that was just waiting to be catered for. Setting off without plans or instructions he designed a series of floor consoles for 2-wheel drive cars. Soon he had designed and was making consoles for Toranas, Escorts, Falcons and so on. Within 6 months Norm had approached Repco and was selling his consoles through their accessory outlets. Then and now the consoles are certainly not one size fits all as each is vehicle and model specific. Plus the construction requires the skills of a number of trades such as pattern making, cabinet making and of course upholstering. A good product leads to success and just 3 years after starting, Norm outgrew the garage and moved into a factory unit. Staff soon followed and Norm saw another opening in the market with a need for overhead consoles. Again these were and still are vehicle specific meaning that a customer from anywhere in Australia could order a console and be assured of a perfect fit. Soon the factory became inadequate for Norm’s needs especially with an increasing number of customers wanting to visit. The obvious solution was to open a factory shopfront. Next came the introduction of moulded carpets, floor mats and dashboard reskining. Unsurprisingly Norm Arthur’s expertise soon became known to 4WD owners and performance car enthusiast. The factory next door was acquired. To assist with the increasing number of customers who wanted their dashboards repaired Norm bought a dash reskining business and incorporated it into his own. Anyone with a 4WD will know that aftermarket storage drawers and the like are big business. The Department of the Interior is well known for the quality of their 4WD storage systems. In fact Norm says that his company is the Australian leader in vacuum forming pieces for your car or 4WD. Each piece can be as it originally left the factory or modified to your instructions. To offer a complete service to his customers Norm Arthur has recently employed a qualified motor trimmer. Of course Norm well appreciates that there is more to your car’s interior than consoles, moulded carpets and dash skins. Now he can offer hood linings, soft tops, tonneaus, seat rebuilding in all materials including leather, specialist floor coverings and anything else to do with the interior of your car. About the only job they won’t approach is reproduction door trims. However they have a range of external specialists that do undertake that role. In 1990 Norm changed the name of his business to Department of the Interior in recognition of the one-stop-shop service he has on offer to his customers. The business has an excellent website at www.consoles.com.au that is not only easy to follow but holds stacks of information on a huge range of products for such marques as Alfa Romeo to Volvo. Plus the site also provides prices in Australian dollars so that you know exactly where you stand when it comes to cost. 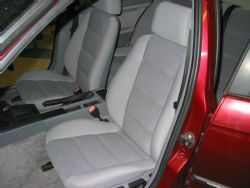 Norm’s business is also an agent for the Stratos range of motor vehicle seats. So if you’re interested in custom built consoles, vehicle cargo storage, car seats, dashboards or any form of motor trimming give Norm Arthur at the Department of the Interior a call.